To diagnose depression, clinicians interview patients, asking specific questions — about, say, past mental illnesses, lifestyle, and mood — and identify the condition based on the patient's responses. 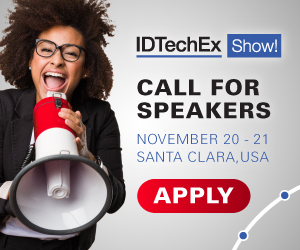 For more information see the IDTechEx report on Digital Health 2018. "The first hints we have that a person is happy, excited, sad, or has some serious cognitive condition, such as depression, is through their speech," says first author Tuka Alhanai, a researcher in the Computer Science and Artificial Intelligence Laboratory (CSAIL). "If you want to deploy (depression-detection) models in scalable way ... you want to minimize the amount of constraints you have on the data you're using. You want to deploy it in any regular conversation and have the model pick up, from the natural interaction, the state of the individual." The researchers, on the other hand, used a technique called sequence modeling, often used for speech processing. With this technique, they fed the model sequences of text and audio data from questions and answers, from both depressed and non-depressed individuals, one by one. As the sequences accumulated, the model extracted speech patterns that emerged for people with or without depression. Words such as, say, "sad," "low," or "down," may be paired with audio signals that are flatter and more monotone. Individuals with depression may also speak slower and use longer pauses between words. These text and audio identifiers for mental distress have been explored in previous research. It was ultimately up to the model to determine if any patterns were predictive of depression or not. "The model sees sequences of words or speaking style, and determines that these patterns are more likely to be seen in people who are depressed or not depressed," Alhanai says. "Then, if it sees the same sequences in new subjects, it can predict if they're depressed too." This sequencing technique also helps the model look at the conversation as a whole and note differences between how people with and without depression speak over time. This work represents a "very encouraging" pilot, Glass says. But now the researchers seek to discover what specific patterns the model identifies across scores of raw data. "Right now it's a bit of a black box," Glass says. "These systems, however, are more believable when you have an explanation of what they're picking up. ... The next challenge is finding out what data it's seized upon."